Herewith I beg to hand you Cheque for the Interim Dividend of 3 per cent., declared at a Board Meeting of Directors, being at the rate of 6 per cent. per annum for the six months ending 31st March last. I hereby certify that Income Tax on the proﬁts of the Company, of which this Dividend forms a part, has been or will be duly paid by me to the proper officer for the receipt of Taxes; and I beg to inform you that, in claiming exemption from Income Tax, this Certificate will be accepted as a Voucher by the Inland Revenue Department. 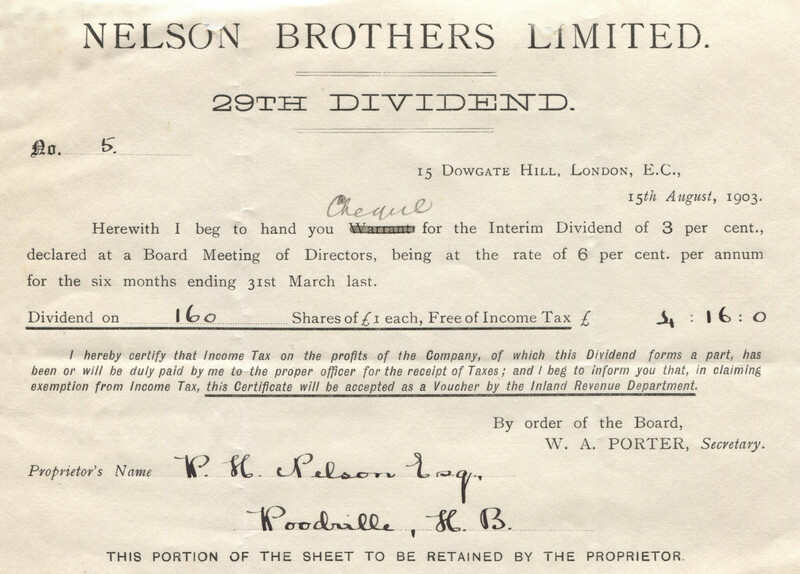 Proprietor’s Name W. H. Nelson Esq. THIS PORTION OF THE SHEET TO BE RETAINED BY THE PROPRIETOR. Herewith I beg to hand you Warrant for the Final Dividend of 4 per cent., declared at a General Meeting of Shareholders held this day, making with the Interim Dividend of 3 per cent. per annum paid 15th August last, 7 per cent. 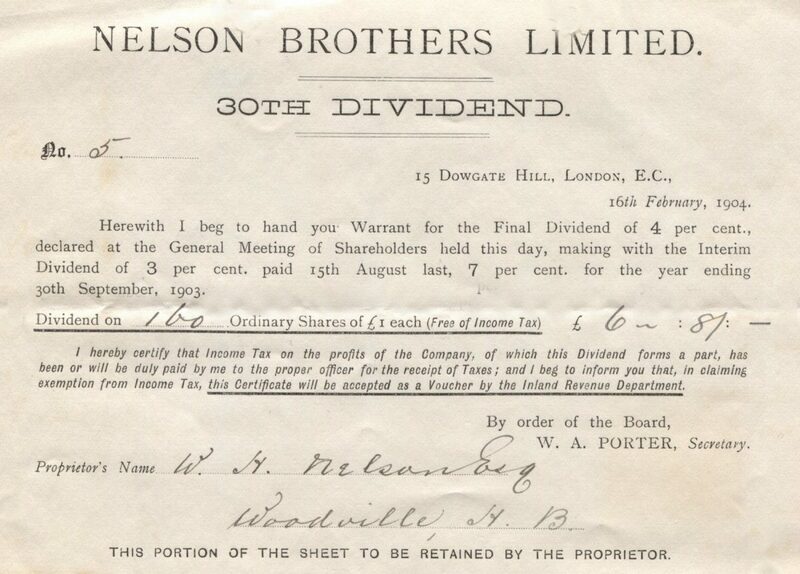 for year ending 30th September, 1903.